You Offend Customers By NOT Trying To Close The Sales - Bottom Line Underwriters, Inc.
Too many salespeople have it backwards. They’re afraid to ask for the sale or follow-up with customers because they don’t want to appear “pushy.” However, you stand a much better chance of offending a customer by not asking boldly for the sale or making those follow-up calls to cinch the deal. Let me explain. Put yourself in the customer’s shoes for a moment. Do you like to be treated as a serious buyer? How do you feel when salespeople disregard you and trivialize you as a customer? Do you feel “small” when they act like you’re wasting their time and don’t have the money to make the purchase for what you’re looking at? Of course you do, and so do your customers. We all want to be respected. We want to be taken seriously. We’re offended when we get the “brush off.” Therefore, do you really think your customers will feel “pressured” or “pushed” when you ask them to buy something? Doesn’t asking them to buy give them the benefit of the doubt that they can buy? And doesn’t that show that you have a higher regard for the customer? Of course it does. If you aren’t asking people to buy because you don’t want to seem “pushy”, chances are that deep down your using the perception of pushiness as a crutch. You’re afraid to ask for the deal. You’re afraid of hearing “no.” So you hide behind the cloak of being a “professional” and not “high-pressuring” your customers. Another reason you may be afraid of asking for the deal is because you know deep down that you haven’t earned the right. Maybe you don’t know your product well enough, or you didn’t take enough time to build rapport with the customer and identify their needs. You can’t fool yourself, and if you’re not doing a quality job during the sales process, you’re not going to feel confident enough to ask for the sale, and by all rights, you should feel reluctant to ask for the sale because you know you don’t deserve it! So stop hiding behind fear of putting on “pressure” or your own incompetence and turn pro in sales, because pros ask for and get the order. They know that the difference between pressure and persistence in technique. They realize that customers want to be sold and want to be asked to buy, so they give them what they want. They don’t always hear “yes”, but they know how to use “no” as an opportunity to find out what they customer is objecting to so they can overcome it and make the sale. So let’s make sure we have this straight: you don’t offend people by asking them to buy, you offend them when you don’t! You don’t think they can afford the product anyway. You don’t think they were really interested. That you’re a weakling of a salesperson! Following up persistently with a customer shows that you put a high value on their business. It shows that you’re willing to earn their business and not just wait for it to fall into your lap. It sets you apart from the 99% of other pretenders in sales who won’t go to the trouble to make the calls. Following up can be one of your best competitive advantages‹a real edge in a crowded market. Start doing a better job of closing and following up and watch your sales soar without having to wait on any more customers than you already are. Instead, you’ll be doing a better job with the opportunities you have; one of the keys to rising above the crowd in sales. © Copyright 1999-2001, The Dave Anderson Corporation. All rights reserved. Used with permission. Dave Anderson is the author of over 50 sales and management training programs and the book, Selling Above The Crowd: 365 Strategies For Sales Excellence. 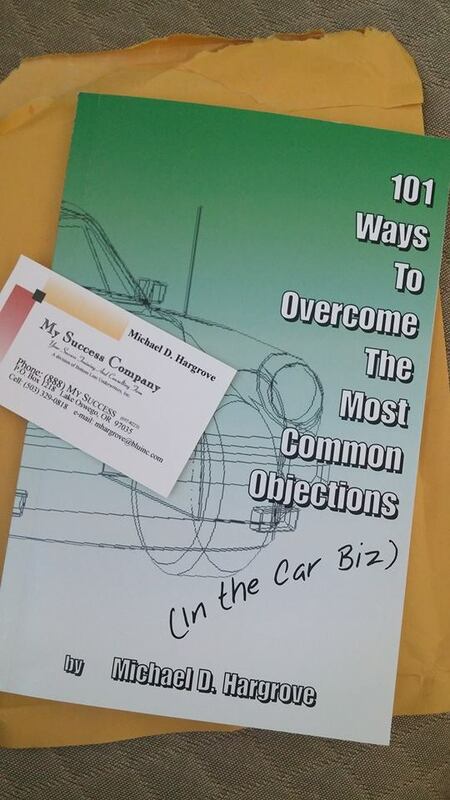 He writes a monthly leadership column for Dealer Magazine and publishes the newsletter, Leading At The Next Level. Dave is president of the Dave Anderson Corporation, and LearntoLead.com, a sales and leadership training organization.